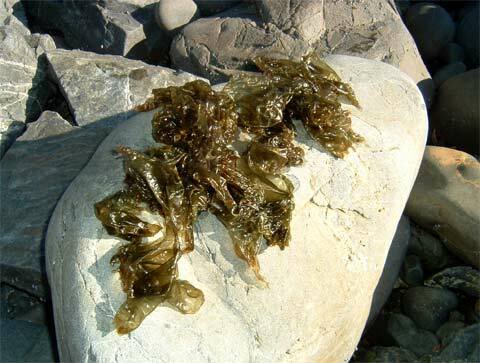 The seaweed karengo is found on intertidal rocks on exposed coasts, and is collected during autumn and winter. It is preserved by drying, and can keep for months. People who live in coastal areas where karengo occurs often take this prized seafood as a gift when visiting family elsewhere.